Welcome to the CBN round-up of beer festivals and events for the coming week (Friday through Thursday), listed here with a bit more detail than what is featured on our popular Beer Festival Calendar page. Watch for a new installment every Thursday – assuming there are any events scheduled for the week ahead, of course. Anyone who knows anything about good beer in Canada has either been to Mondial de la Bière, or hopes to get there at some point. For this year’s 22nd edition, over 500 beers, ciders and meads will be available from more than 85 breweries, with 226 beers being new to the festival this year. There will also be satellite events happening and bars and establishments throughout the city. See the website for more details. This celebration of great Ontario beer presented by the Ontario Craft Brewers actually gets a preview tonight (June 11th) with a launch party at Steam Whistle Brewery in Toronto before officially kicking off tomorrow. Dozens and dozens of festivals, dinners, tastings, tap takeovers, beer launches and more will be taking place across the province – see the event listings on the OCB Week website for full details. One of the marquee events of OCB Week, the 6th annual edition of Session Toronto will feature more than two dozen breweries, with 11 of them participating in the Collaboration Nation competition, squaring off with beers brewed together with various celebrities and organizations, with the winner to be awarded a year-round LCBO listing. Food vendors and live music round out the offerings at both the afternoon and evening sessions. Returning after a well-received debut last year, this festival just north of Toronto will bring together some of the best craft breweries and food trucks in the GTA – 10 of each – along with live music and a family-friendly atmosphere. Check the website for ticket options and other details. Set amidst one of Ontario’s great historical attractions, this all-ages event will feature beer (for those 19+) from several Ontario and Quebec breweries, food from local food trucks, and a variety of live performances, presentations and workshops throughout the day. Collingwood’s inaugural beer festival – presented by the organizers of several other festivals in the province – will offer beverages from more than 25 beer and cider producers, local food vendors, beer education seminars, and live entertainment, with partial proceeds going to Big Brothers Big Sisters of The Georgian Triangle. Hopheads rejoice! The fifth annual festival of hoppy beers hosted by Phillips Brewing will welcome more than 30 British Columbia breweries to “transform the Backyard at Phillips Brewing Co. into hoppy beer heaven.” Online tickets are sold out, but there might still be a few left at the brewery. 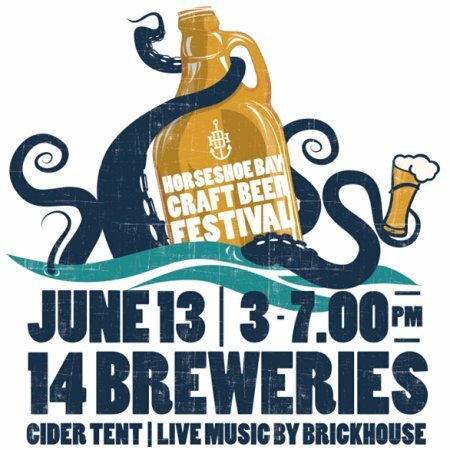 Taking place just steps from where Canada’s first modern microbrewery – Horseshoe Bay Brewing – was located, the second annual festival on the floating breakwater at picturesque Sewell’s Marina will feature 14 local breweries, a cider tent and live music. Advance tickets are still available online.